Jennifer and Mark were looking for a small and intimate wedding and they figured the best way to do that was by having a destination wedding. 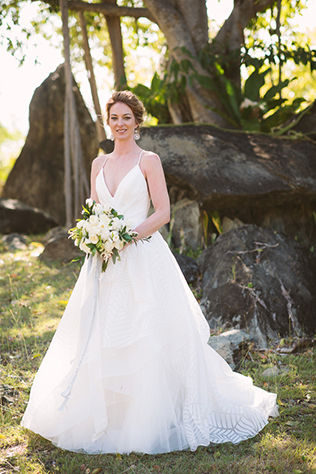 Wanting a place that was both beautiful and would keep guests busy, they chose to have a St. John destination wedding in the Virgin Islands. 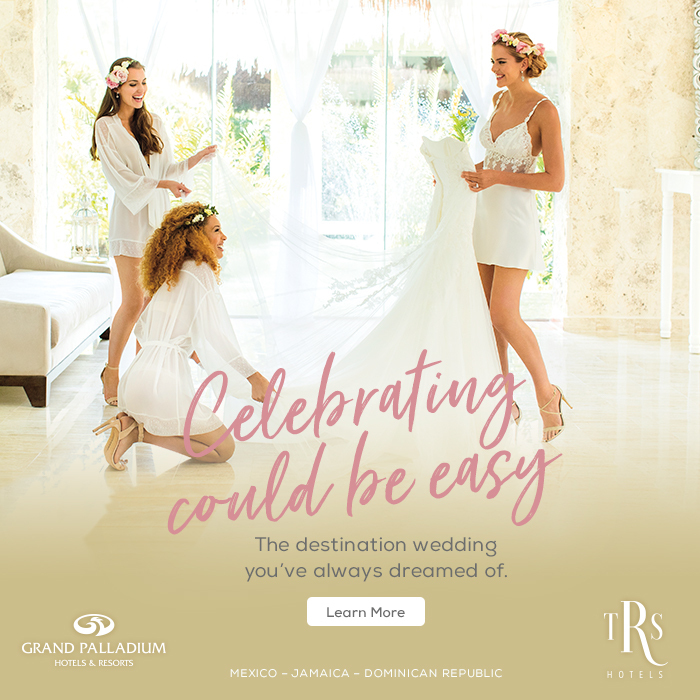 With their family and friends on board with the wedding, now it was time to start planning, which can be difficult if you don’t live in the location of your wedding. Luckily, the couple got help from a wedding planner. Kristin with Kristen Ashley Events took control of the planning and was able to coordinate everything for the couple’s wedding, from bringing in out-of-town vendors, like their photographer, to working with the local vendors on the island to keep everything running smoothly. “Kristin asked a ton of questions to the vendors to help assemble the best team for us,” says the couple. “This allowed confidence even though we did not meet each vendor in person before the event. She was key in pulling off our wedding. She took care of all the events.” By having Kristin, every detail was planned out and there was less stress for the couple, which comes with the territory of planning a wedding. When the big day arrived, the couple walked down the aisle at their wedding, which overlooked the ocean, and they were able to spend a memorable evening with their closest friends and family. “We were able to spend tons of time with each guest and they really got to know each other well,” says the bride. 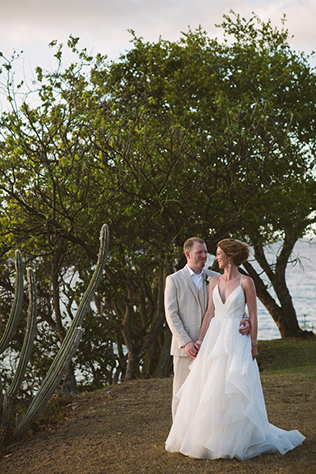 “We got to share our favorite place in the world with them and now they too understand why we love St. John so much.” With a memorable experience in St. John, it’s hard to imagine anything more perfect, but if the couple had chosen to have a wedding at home, it wouldn’t have been as personalized. 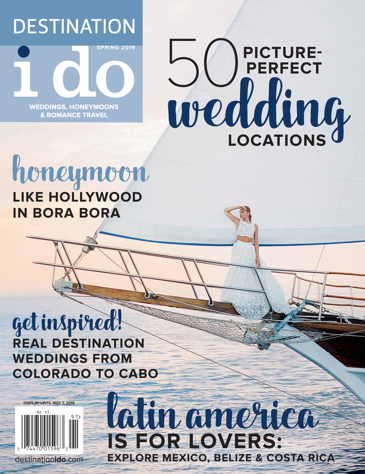 “Our destination wedding was a nicer, more detailed wedding for the same price as a larger, less detailed wedding in our home town,” says the bride. 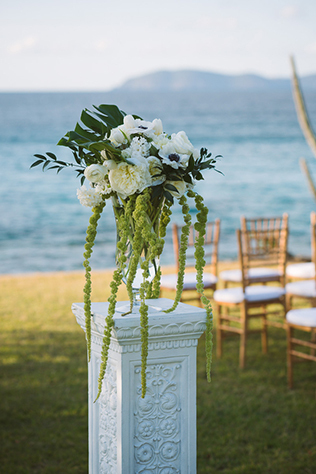 The couple spent more money on the little details at their destination wedding, but it was well worth it in the end. The Sandpearl Resort is one of the premiere wedding destinations in Clearwater, Florida.